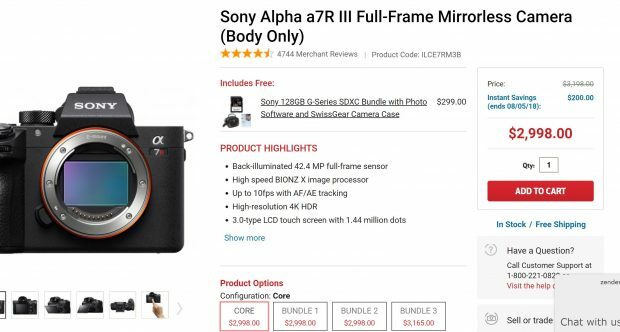 Free 128GB SF-G UHS-II Card ($299 Value) when Buy Sony a7R III at Focus Camera ! Sony USA authorized dealer Focus Camera currently has a hot promotion on Sony 128GB SF-G UHS-II memory card for free when buy Sony a7R III mirrorless cameras. Previous Previous post: Amazon Prime Day Sony Deals now Live !